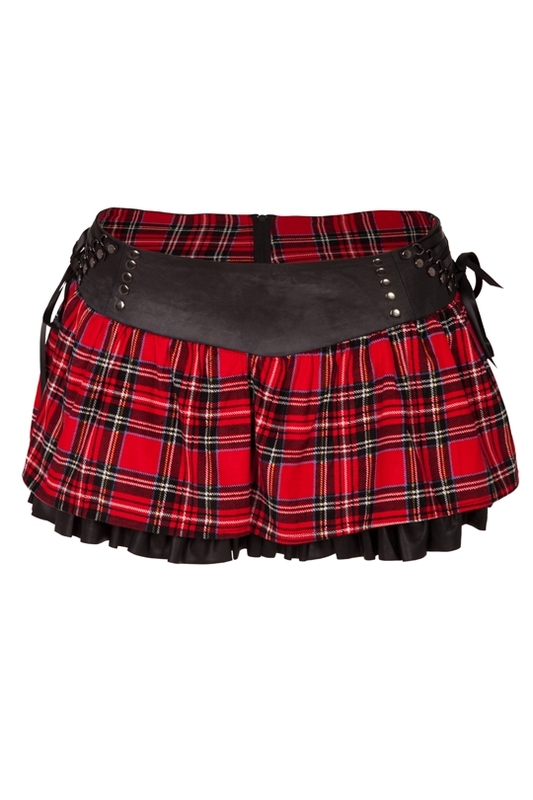 Covered in a cute tartan print, this mini skirt is very eye catchy. The overall look of the item is spiced up with an added faux leather waistline. 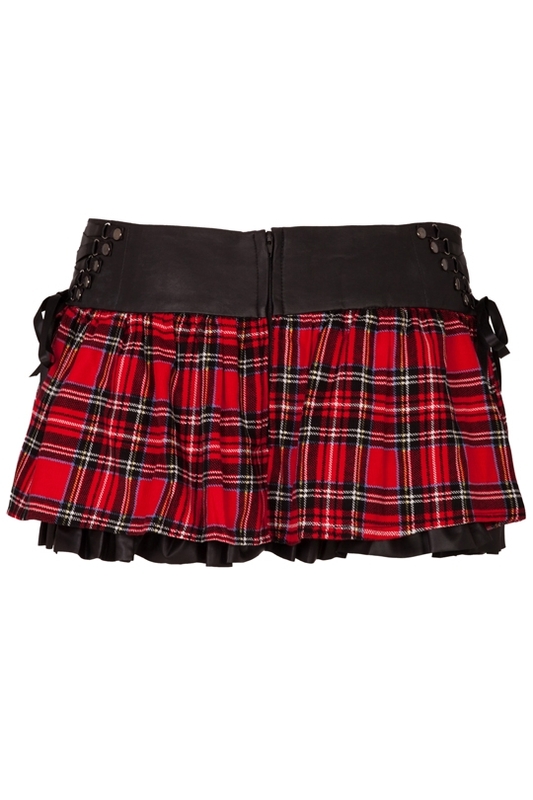 This skirt channels the punk vibe and looks awesome!